A modern interpretation of one of Estée Lauder's favourites: White Linen. The element of the classic 1978 fragrance have been taken and turned into a brighter, modern floral fragrance, maintaining the original's feel. The bottle also echoes the original fragrance. There are 22 reviews of Pure White Linen. A light and clean, fresh fragrance. But I didn’t « find » anything interesting, despite the big number of notes that I like. I found the original White Linen "interesting" in achieving a scent of pure cleanliness, while not being moved to either give it a thumbs up or a thumbs down, just a neutral. I actually like the spinoff, Pure White Linen, a lot better. At least it achieves a character of a sort in its dry down. It opens with a bright, green aldyhedic blast, then turns soft and woody, achieving what might be called a light burnt sugar, caramel effect for that dry down. Milot's Insolent comes to mind with its emphasis on celery seed. Amazing the number of ingredients named above to achieve this simple effect. Turin gave it four stars and dubbed it "dry muguet," an effect I don't get. It is however very pleasant and fresh and like Insolent, perfect for late summer and early autumn wear. The first time i smelled it,the image that sprang immediately to my mind was summer at the beach and i think that's good way to describe this perfume,sunny days,freedom and whatever makes you happy.it has such a clean smell.PURE WHITE LINEN is present a beautiful,fresh emollient. Refreshing,Soapy,Delightful, Airy,Romantic,Refined and Light Hearted. A beautiful melody of crisp and joyful fruits like apple,raspberry, pear and grapefruit rests on a innocent bouquet of white floral like tuberose, gardenia and jasmine drenched with cool morning dew. the base notes is so soothing and a little soapy of cedar and patchouli.this scent turns the simple act of washing your hands into a sensuous, pleasurable experience! 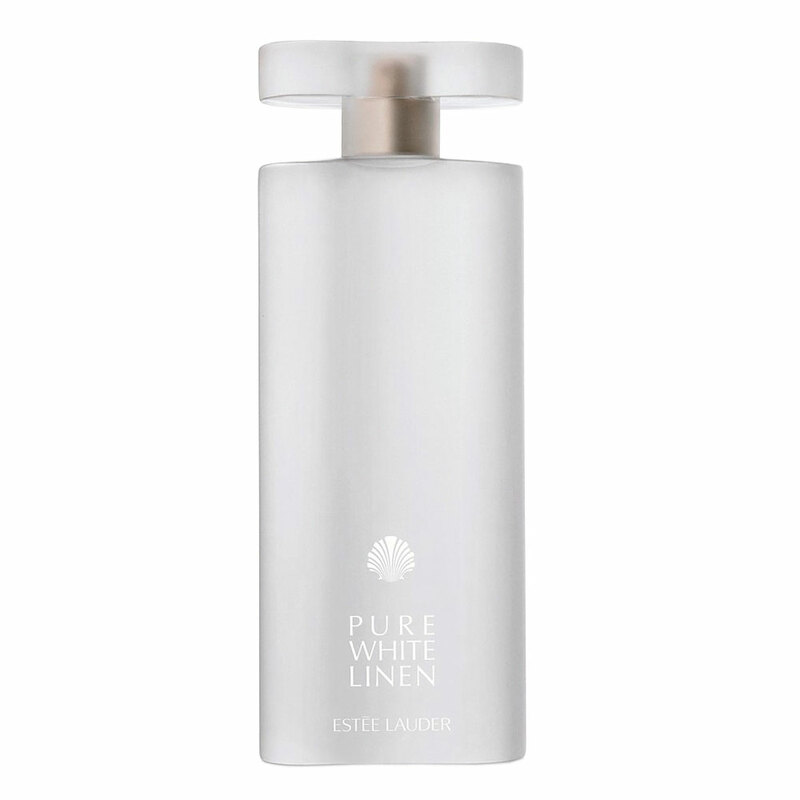 You love waking up in the morning to the scent of PURE WHITE LINEN on your pillow and you love putting on your robe after a bath.It is definitely an uplifting scent for a nice summer day.if you are looking for a pretty natural scent to a romantic walks with your lover at the beach you can not go wrong with this one. At the risk of fragrance heresy I will admit that White Linen’s starched, sexless, and uptight demeanor never appealed to me. Pure White Linen does for the original approximately what Eau Première would do for Chanel No. 5 some years later – it lightens and brightens the formula with soft green and fruity floral notes, presumably to appeal to a younger, “hipper” audience. Yet where Eau Première smells like a reasonably close variation on No. 5, Pure White Linen makes only oblique references to its predecessor: lots of aldehydes, spanking clean florals, and most importantly, a “scratchy” white musk base note. 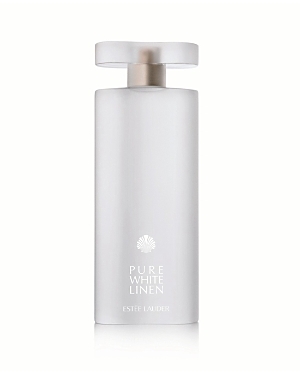 Pure White Linen’s top notes are a blend of fruit, mellow, grassy green notes, brisk aldehydes and (yes) white florals. The overall effect is sweet, perky, and far more relaxed and amiable than mama White Linen. The floral notes come into sharper focus over time, with crisp jasmine and rose occasionally recognizable within the mixed bouquet. Persistent green notes and that signature White Linen aldehyde and abrasive white musk accord prevent the heart from growing overly sweet or cloying. Pure White Linen holds its shape for several hours without much evolution once its core structure falls into place, projecting boldly from the skin all the while. The clean musk and wood drydown is prim and proper, but far sweeter than Lauder’s original, with the screechy, nails-on-a-chalkboard effect that so sours me on the first White Linen buffed smooth by powdery materials. (Heliotropin?) Pure White Linen may end up smelling more prosaic than White Linen, but it’s also much friendlier; a smell for humans, not mannequins. Given my usual predilection for originality and innovation in fragrance, I’m almost ashamed to admit that I enjoy it much more than the original. I loved the original white linen so I decided to give this a shot - hoping that it would be a modern/younger version of that lovely fragrance. The fragrance is quite airy and fresh, but there is an underlying scent that is not quite pleasant.It has a decidedly synthetic note to it that smells distinctly like fabric softener. While I can understand the desire to smell 'fresh' and 'clean' I think some frangrances go too far; the result is that sensuality, romance and sometimes feminity are often sacrificed. 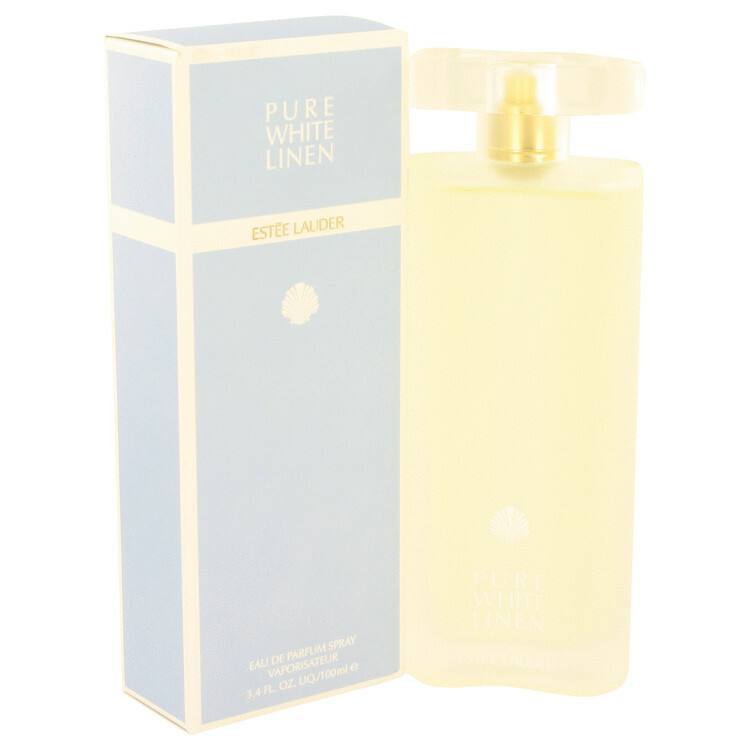 Estee Lauder Pure White Linen Eau de Parfum Spray 3.4 oz. New ESTEE LAUDER PURE WHITE LINEN PERFUME SPRAY 50 ML / 1.7 FL OZ?